he will be no more. Joining in sleepy eyed but happy at the pub! 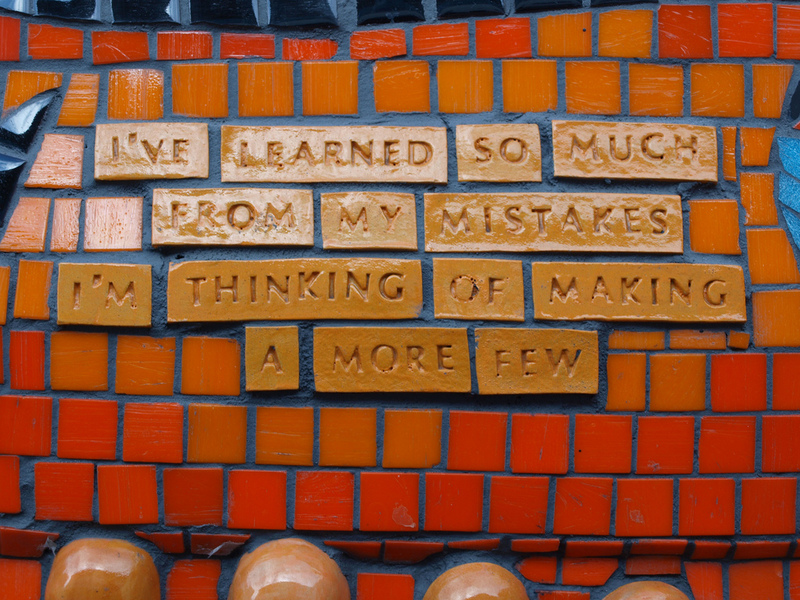 What’s A Few More Mistakes To Add To My List on Monday? Heloooooooooooo friends, So right from the starting gate, the year is certainly not turning out as I expected. 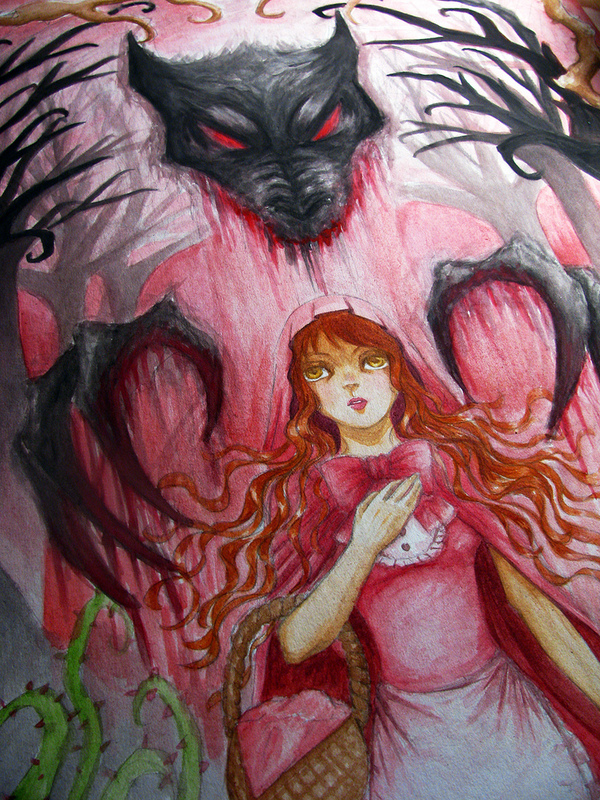 Although I am not completely comfortable at this time to reveal too much. Let’s just say it involves, a certain strong -willed girl, school, choices, decisions, fears, doubts, options, insecurities and lots of opinions of others from many walks of life. One thing remains true…although I may not have all the answers (and I do get slightly annoyed by those who think they have them all), I am confident the one who holds me in His palm HAS them, thank you very much. I do not know what tomorrow will bring and I will say this family has been on a roller coaster ride emotionally since September (with a jump-start that happened in @ May of last year). I remember hearing a Pastor teach that there is always (at least) one thing you may not know about a person or situation which would be THE key puzzle piece you need to complete the puzzle…or judge accurately that which you perceive. But you DO NOT have that piece- only God sees ALL the pieces. Let’s be careful with our words, conclusions and quick fix advice. There may be more to the picture than meets the eye and we may not be able as we think to accurately judge a situation. But there is grace…and love that never fails. There are baskets of fruit we can offer those going through difficult times. Instead of those boxes of criticisms, judgments and inaccurate conclusions packaged prettily with pride and prejudice, then handed over with a smug smile. Ouch! I promise to share more as appropriate and once there is clarity in the situation. OK? If you want to pray that for us, I would be grateful. In the meantime lets have some fun, it is MONDAY after all! My Girl and I had a little Art Project going on this weekend. 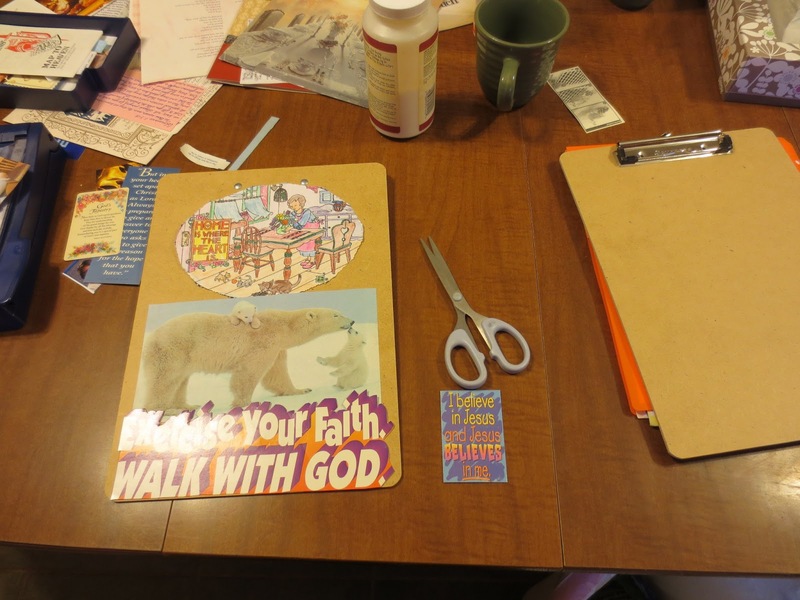 We decorated clipboards using collage with random favorite clippings. 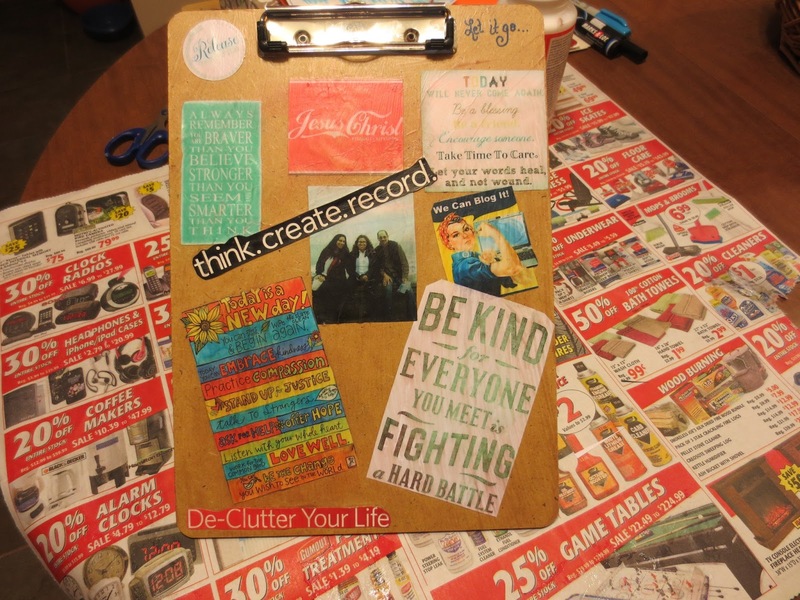 It felt good to create something! Hooray for us! Announcing the “My Husband is Awesome” Link up– PLEASE Join me to link up all of the reasons our Hubby’s are awesome February 3rd-13th! Write up a post and come link up to celebrate our men! Honestly I do this because I know I am guilty of not appreciating my hubby as much as he deserves, so let’s join together in an exercise of honoring our hubs and God by focusing on the many wonderful attributes we take for granted daily and sing out the praises of our great guys and faithful God for providing them! I will put the link up at 12 AM on Sunday, February 3rd. 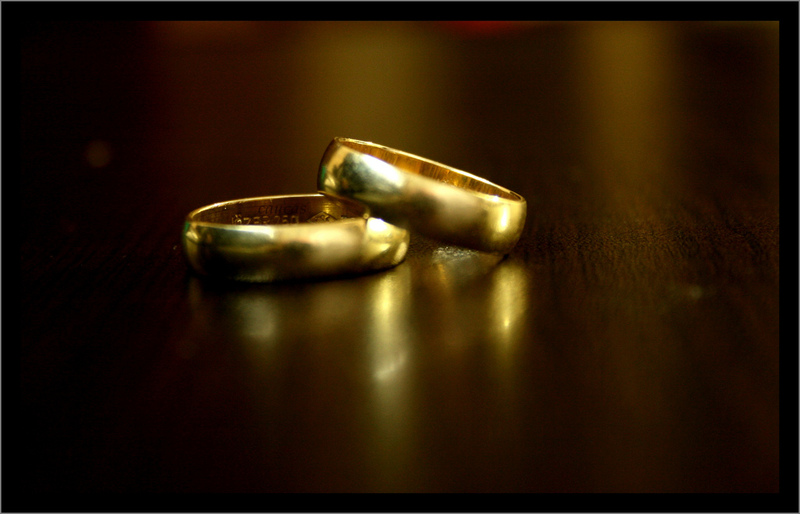 I will choose one of the linked Husband posts to be shared on my blog in full as a special Valentine feature. Does that sound fabulous to you? It can be short and sweet, lengthy, in letter form to him, or a few points or bullets, sappy, silly, dry or poignant! I promise this exercise will be a wonderful gift to your hub, yourself and God! *Oh and can you pass this Link Up info along to others so many might join us in our celebration? Share it anyway you see fit! Facebook, Twitter etc. 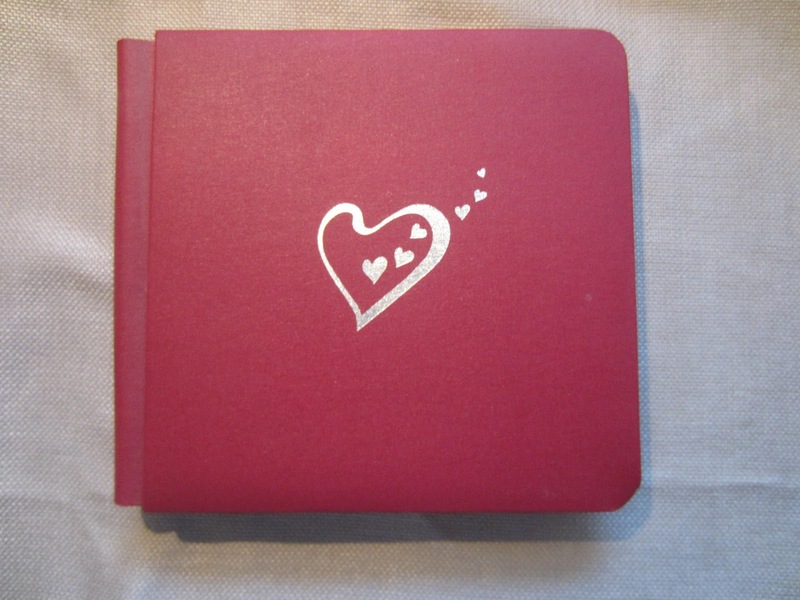 You still have time to make your HUBBY a cute Valentine’s Day Gift like this Love Album I made a few years back. It really is easy and fast. You can make a simple version- really you can do it! Catching up on Book Reviews! Reviewed this excellent book by Ruth Myers and I have to say with conviction: Please do yourself a favor, Grow with God and read it. You will not regret it. This is one of those books you will re-read and recommend to all of your friends, and they’ll tell two friend, and they’ll tell two friends, and so on and so on. Oh sorry, commercial FLASHBACK! 374. Knowing that though the ship may rock, be battered, tossed and smashed, sunk to the bottom of the sea…He IS there. Always faithful. 375. 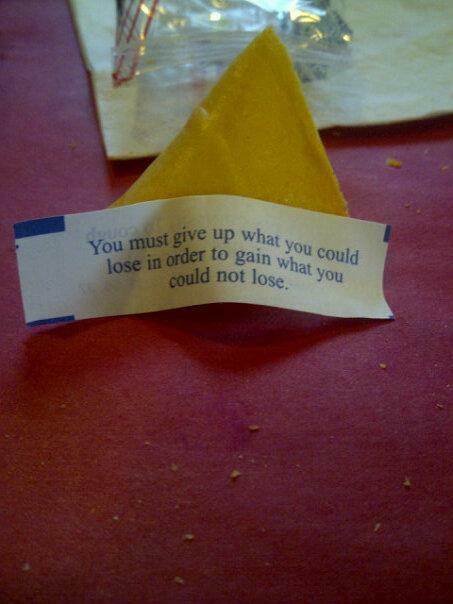 The words that he brought to my mind…even when others (Christians) fail, I (God) will prevail. 376. That mistakes, if bringing us CLOSER to the truth of His good and perfect will, though painful to endure, ultimately serve His purposes. Even when Christians fail, God still prevails. Nothing and No One. Can Stop. Our. Great. God. My eyes, remain fixed on Heaven, my feet still walk these dusty roads and in the end I will see Him face to face, for His mercy endures forever. Great is His faithfulness. but until then keep on serving, loving and living, His sees you. He sees me. His eyes are on us, His little flock. When was the last time you felt awe with regard to the spiritual reality of and in your daily life? 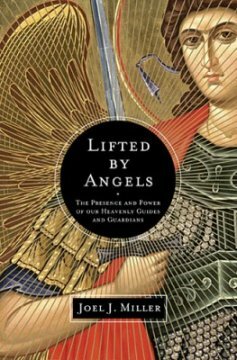 Seeking to clarify the presence, position and potential of angels and angelic activity from the beginning of time to our current period, Mr. Miller pulls back the veil of the unseen spiritual realm and draws our eyes to see what Christian history confirms and recognized readily. Reading this book was eye opening, and a little bit sobering. 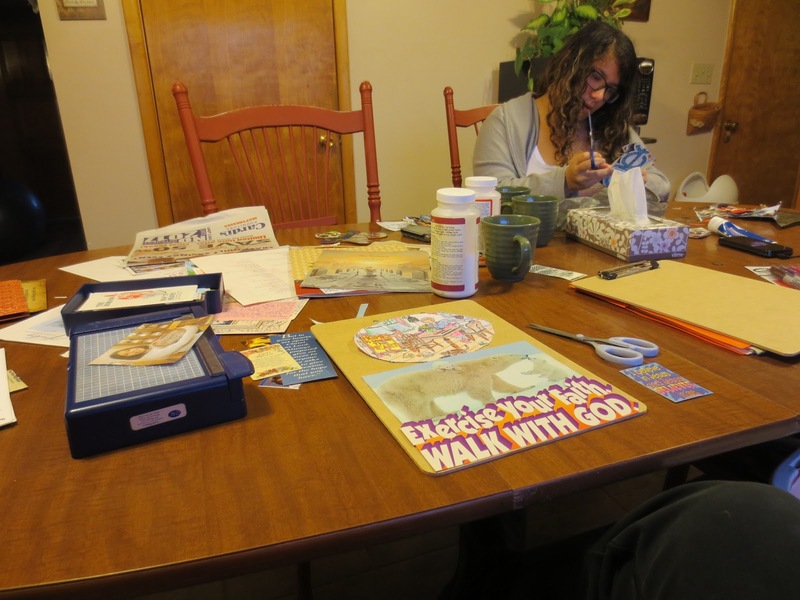 Siting, reminding and recalling the numerous angelic interactions with humans throughout the Bible and beyond reminded me of the realm we so often forget in the daily bustle of life. That our great cloud of witnesses includes an angelic, always present, host. That these beings are designed and designated specifically by God, as guides, guardians, protectors, meddlers of the divine conspiracy in the best of ways! I am excited to consider all the more the reality of our invisible to the naked eye cheerleaders and co laborers in Christ. Be prepared to be awed. Awaken within your soul a new sense of wonder. In this way you too, might just be lifted by angels! Book Description:Explores the relationship between people and angels, through the eyes of the early church. Heaven is closer than we realize. Its boundaries overlap our own, and angels move in and out of our porous present, this moment that seems to us so solid and concrete. If that reality seems dim to us now, it beamed for the early Christians. Through their writings, sermons, songs, and art, the ancient faithful confessed a powerful and vivid belief that angels help carry us on our journey to God. I received this book from Booksneeze in return for review. All opinions expressed are my own. 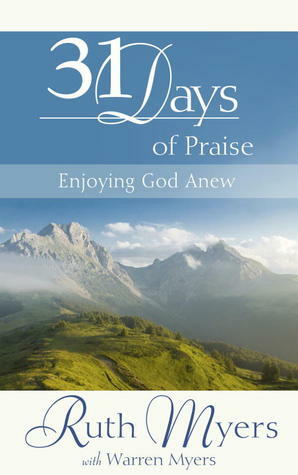 31 Days of Praise- Enjoying God Anew by Ruth Myers is a must read book for every Christian. The book is broken mainly into three specific parts. Part One is designated as the “How To” chapter as well as an invitation into entering into praise with scriptural support and definition of praise and how it is instrumental to worship. It is mentioned that one of Satan’s strategies is diverting Christians from praise, and I wholeheartedly agree. How often do we find ourselves grumbling, complaining, cursing in response to the small details of the day. Part Two is the actual 31 Day plan of practicing praising God. These day by day scripture referenced pages of prayers will do the same thing for your prayer life that physical exercise does for your body. Initially the benefits seem unseen, but they allow for a wonderful paradigm shift that we all need and desire at the core of our being. Confidence in the presence of God and stronger faith in all circumstances is the goal of every Christian for in these we glorify God. Part Three seals the deal on the importance of choosing praise in light of our unique purpose, despite circumstances, secular values, and for victory in our daily walk on this earth. This book is both rich and concise with truth. Not a word is wasted. Heavily hi-lighted and highly recommended I offer this excellent book, Christian resource and review with hopes that you will be empowered and blessed at the outcome of reading it for yourself. *I bought this book myself and am reviewing it because I believe it is worthy of sharing my thoughts and opinions. I do a blogging program with Blogging For Books through Waterbrook/Multinomah but this particular book was not one received as part of that program. I chose to add the link for convenience and further information as a courtesy to my readers. Sharing with Barbie’s weekend Brew!